After unveiling the new Xperia smartphones, Sony is drifting towards the audio and camera products range. At IFA 2017, Sony took the wraps off a line of speakers, specifically the tower speaker MHC-V90W, GTK-XB60 and GTK-XB90 Extra Bass Bluetooth speakers, in addition to a RX0 rugged camera. Out of all the speakers launched by Sony, the tower speaker MHC-V90W stands out with features like Karaoke-singalong, gesture control to control music, LED lighting support with DJ effects. The speaker is 5.6-feet tall and features an angled look at the top of the system that can project audio directly. The speaker contains four tweeters, four mid-range speakers, and two woofers. It will be available at $1,299.99 (roughly Rs. 83,090) and will be available in October. As we said, the speakers also support gesture support who need to swap multiple audio tracks one after one. It comes with a party and speaker light that glow in sync with the music, and can be customised using Fiestable app. It also supports Chromecast and Google Assistant, means the speaker can be controlled with voice. It also syncs with 10 other speakers over Wi-Fi for suitable house party environment. It also comes with Bluetooth with LDAC technology and NFC support. You can even use an electric guitar as an input to listen to what you're playing under the Guitar mode. And for portability, the speaker has built-in wheels. The other two speakers from Sony - GTK-XB60 and GTK-XB90 - are new additions to its Extra Bass range of Bluetooth speakers that already has the XB20, XB30 and XB40 Bluetooth speakers. The former XB60 features two tweeters and two woofers and comes in Black and Blue colours, while the XB90 has three tweeters and two woofers and will be offered only in Black colour. Both the models has built-in microphones that can be used to take calls. The battery inside XB60 can operate up to 14 hours while that of XB90 will last up to 16 hours. 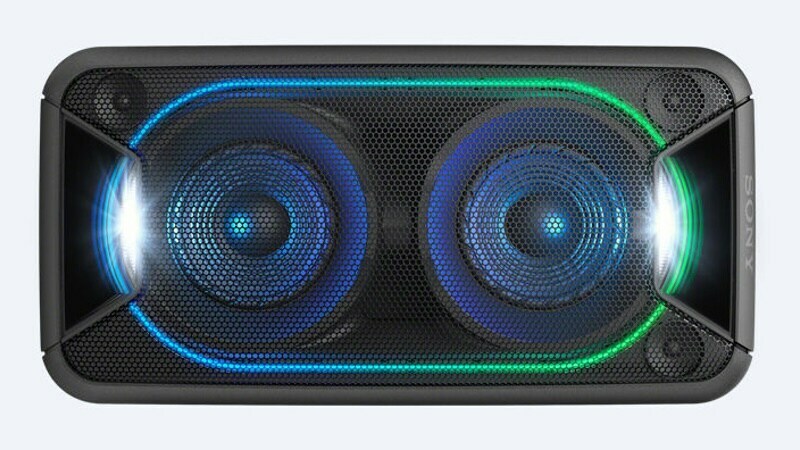 Just like the tower speaker mentioned above, these too can be paired with additional speakers to create a surround music. There is a support for Bluetooth and NFC on both the speakers to pair with smartphones. 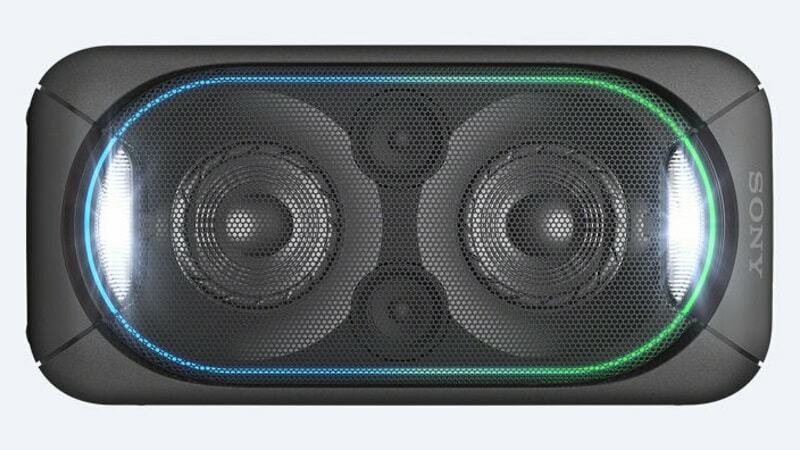 Sony will be releasing the GTK-XB60 and XB90 speakers in September at $349 (roughly Rs. 22,400) and $449 (roughly Rs. 28,800) respectively. Moving to the cameras, Sony has revealed a compact and nice-looking action camera called RX0. 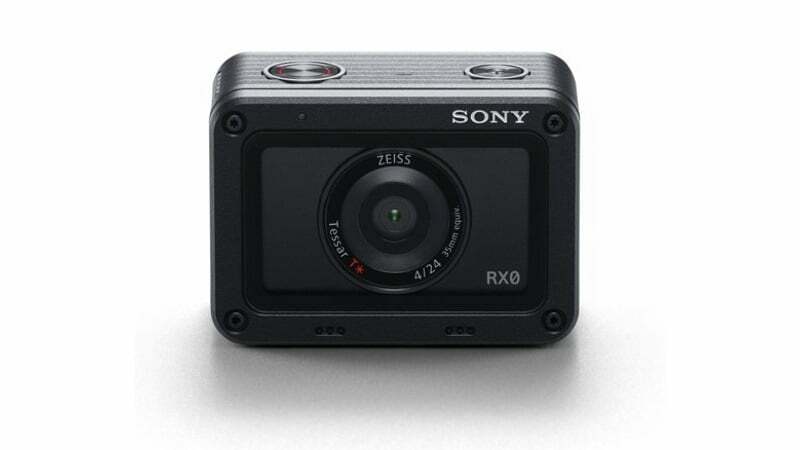 The Sony RX0 camera is a part of the RX family and features a water, dust, and shock proof body. It looks a lot like GoPro 5, but is sleeker as it measures 59x40.5x29.8mm. It uses a FA-WRC1M wireless commander that can be used to trigger up to 15 cameras simultaneously inside a multi-cam setup for bullet time and time preemption techniques. It is integrated with 15.3-megapixel 1-inch Exmor RS CMOS sensor and BIONZ X image processor along with a stacked DRAM memory chip for faster image signal readouts. As we said, the Sony RX0 camera is waterproof up to 33-feet underwater depth, 6.5-feet drop shockproof, and crushproof up to an application of 2,000N force from all the sides. The camera supports slow-motion recording at up to 1000fps, in addition to anti-distortion shutter of up to 1/32000 sec and 4K high-resolution videos. There's also a Micro-HDMI port for connecting an external recorder. It sports a 1.5-inch TFT screen at the back. The Sony RX0 camera is priced at $699.99 (roughly Rs. 44,750) and will be made available in October.